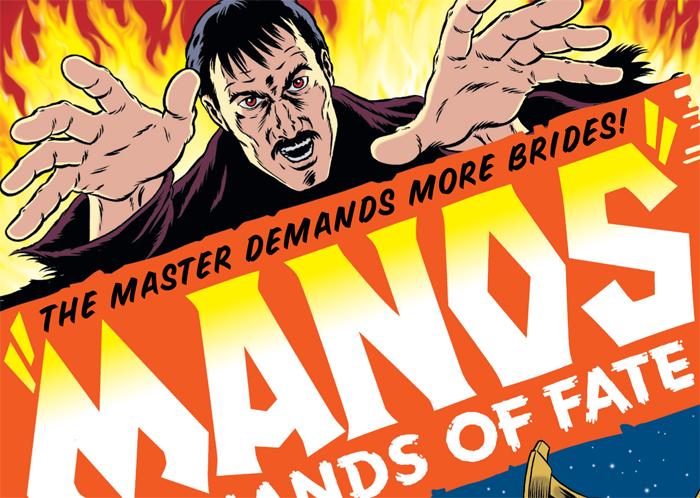 It was 25 years ago today when MST3K fans first got to experience the cheesiest film ever made: Experiment 424 - "Manos" The Hands Of Fate. The haunting Torgo theme. The lingering, out-of-focus camera shots. The general incoherence of the plot. MSTies were never the same, and a quarter-century later it remains one of the stone-cold classics of Mystery Science Theater. To celebrate, we're marking down the Special Edition DVD of Manos 50% off list price for today only. You can pick one up from the MST3K Store. On a similar note, we added a permanent new feature to all of MST3KStore.com: free standard shipping on all orders over $50 to the USA & territories! So feel free to fill that cart up. 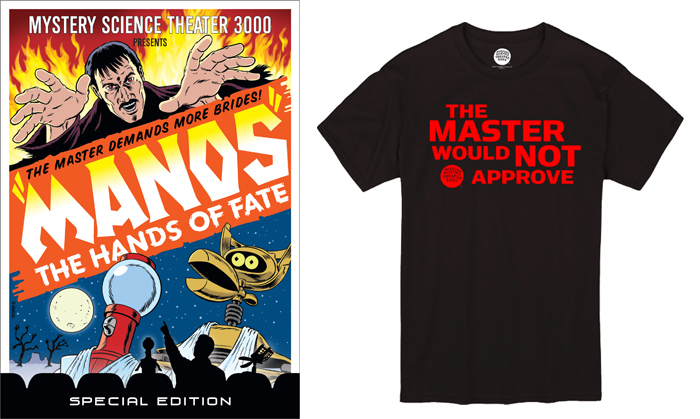 Maybe toss a limited-edition The Master Would Not Approve T-shirt in while you're feeling all Manos-y today?